The correct medical examination forms (DS-2053) can be obtained from the United States Consular officer in your home country or any United States of America Embassy nearest to you. The doctor will require two photographs from you when you are going for the medical test. Normally completion of the medical and all related tests will require at least one week. So be sure to schedule your medical appointment well in advance of your visa interview date. A blood test for antibody to the human immunodeficiency virus (HIV) is required as a part of your medical examination. The results of your test will be provided to a consular officer. Also, it may be necessary to report results to the health authorities in this country. A positive test result of HIV will mean that you may not be eligible to receive a visa. 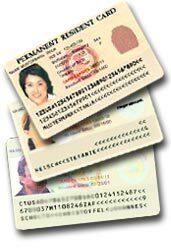 Visit the United States Consular officer in your home country or any United States of America Embassy nearest to you to get the medical test, forms and information on doctors who are performing the medical test to avoid unnecessary delay in your Green Card Lottery interview and prevent waste of money by going to the correct doctor.